After a few blogging ladies shared their summer bucket lists - I wanted to get on board and share mine! I group Spring and Summer together because here in New England one day it's summer and the next is Spring, so we really never know what we'll get!! Growing up in Florida I always took the weather for granted - I mean how could you not, but now that my "beach season" is only 2 months long - I try to make sure I'm there as much as possible! 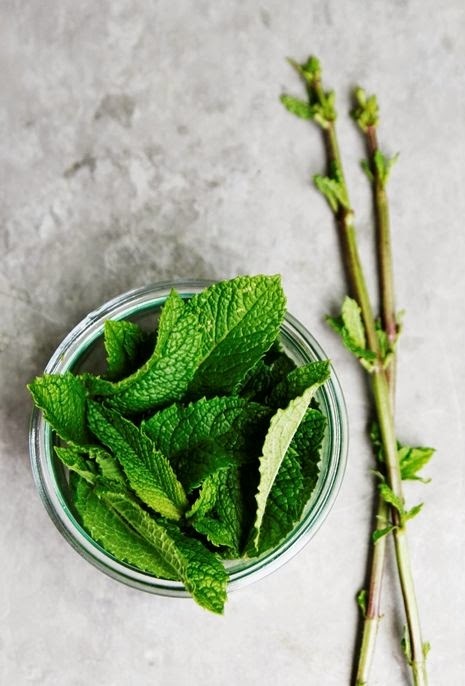 My favorite thing to add to recipes is fresh basil and we can't forget the staple summer drink - a mojito with fresh mint!! Since there is no outdoor space for me - some cute little indoor plants will have to do! When we were in Paris last summer, we made it a point to pick up some sandwiches from a little store and just sit in front of the Eiffel Tower with some champagne of course!! Definitely going to be recreating this in the Public Garden this summer. Enjoying drinks and looking out at the city skyline is one of my favorite things! I love it even more when the summer heat has died off a little bit and being outside is bearable! 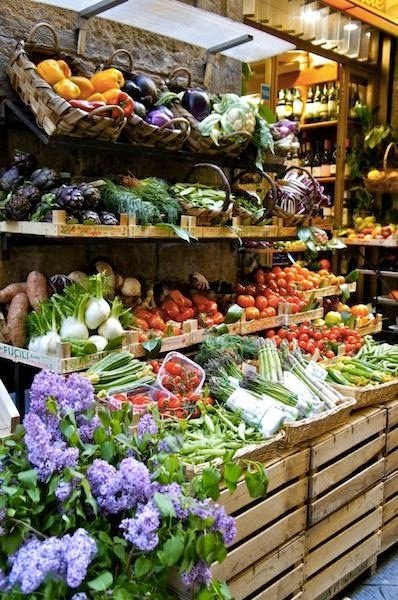 Not only do I want to go to the Farmer's Market this Summer, but I want to make a meal bought exclusively from fresh produce and food from the market! P.S. I'm also guest posting over at Amanda's Blog today sharing 4 tips on making your vacation memorable!!! I love a good summer bucket list and yours is fabulous lady. I hope you are able to grow your own herbs, we tried and got two harvest out of them and then they went kaput. I look forward to the day of having an actual herb garden outside my home. Farmers markets are the best in the summer. We try to go once week because the fresh produce is amazing :)! I love your list--so much so that I might just steal it and make it my own! :) All of these are perfect to make your way through the Summer months! I am loving these bucket lists. I feel like it helps to gain control of an already short summer season. Great list girl! I need to get to the beach this summer too. Im so close but never go. And if you figure out how to grow basil and mint let me know. I always kll it...oops!! What a great list! I love the farmer's market meal. We have a farmer's market here on Saturdays and I always wish I was motivated enough to go get everything there for a Saturday night meal. Have a great day! I love being so close to so many states that day trips are totally possible here. A picnic in the park would be so nice, and you could use your fresh produce to create the picnic meal too! Such a great list! And it's true you guys are so close to so much, I'm sure you'll have a great Summer! yes to the farmer's market! ours hasn't opened yet because our weather has been all over the place but i look forward to when it does. I love this bucket list! I've been meaning to make one myself for the summer. I love farmers' markets and roof top bars are a must! Yes to all of these! We planted some basil and mint on our windowsill last week and the mint has pretty much already taken over the other plants. Need to repot that and move it elsewhere. And picnics are my favorite! We did the same thing in Italy and I still daydream about it. Grab a bottle and a sandwich, it's the best. this is probably my favourite summer bucket list so far! 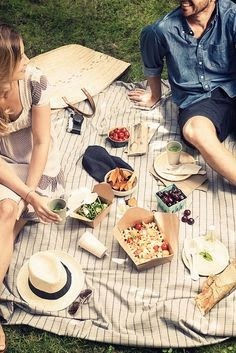 i love the day trip and picnic in the park ideas, i hope to do that in Paris as well! I love all of these. I sent it to my cousin because we were trying to think of things for a summer bucket list. The second I saw the mint & the basil I was like "MOJITOS!" I am obsessed with them. Yes please to all of these!!! I can't wait to go to the Farmer's Market! This is such a perfect summer list! We've been wanting to grow herbs too and a whole vegetable garden! We'll see how it goes! Can't wait to hear about your day trips tomorrow!! Oooo love all of these ideas! 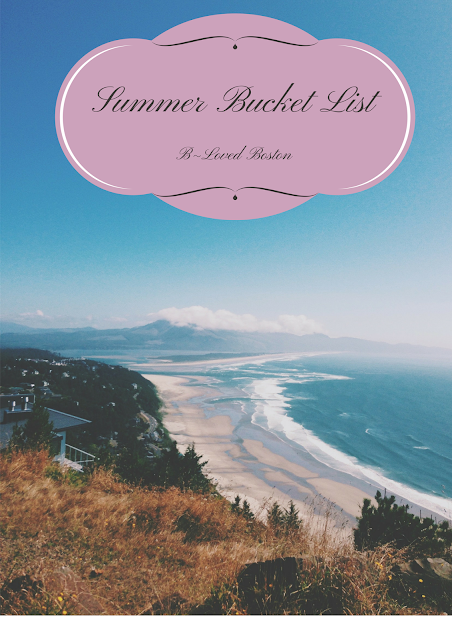 I haven't made a bucket list since Christmas and you have inspired me to make one for Summer! Love the farmer's market idea, that for sure needs to happen!! These all look so fun! I love the idea of growing mint and basil. I also can't wait to go to the beach! I'll be in California in a couple of weeks! Love this! Hahaha I have a Charleston Summertime Bucket List in my drafts right now. Hoping to get that finished and published sooner rather than later. This is such a great idea for a post!! I love the idea of a summer bucket list--you have some great plans :) I want to be on that rooftop bar--so fun on a summers night! Yes to all of these! I wish I even had the option to go to the beach, so the lake will just have to do! I just discovered that our city has a local farmer's market every Saturday that started last week, so you can bet that I'll be there bright and early this weekend. And, a picnic with champagne under the Eiffel Tower - heaven! Living in Charleston my whole life I take the beach for granted so I get it!! When you guys come in August we'll have to check out some of the roof top bars here! I would love to do pretty much all of these. Well except planting anything (because I've tried before and it didn't work out too well so I've given up)...Taking a day trip sounds like so much fun especially since you have so many options. This is the perfect bucket list!! I want to do everything on it too please! Ah, love all of these!! A picnic in the park sounds great right about now! Oooh I can't wait to see what your favorite day trips are! I'm from Rhode Island, so if you haven't been there, I suggest Westerly (my hometown and the cutest little beach town ever :) ). I definitely would love to plant some of my own herbs, too, I might add that to my bucket list! Loving these summer lists. I love all the things on yours! Love this list! Everything on it sounds so fun :) I think I need to make one of these now to make sure we do everything we want this summer! I love this summertime bucket list! I have been dying to go to a farmer's market, so that's definitely on mine! I tried the whole growing basil thing, I killed it within 2 weeks! I guess I don't have a green thumb haha! Happy Wednesday! Great list! I always make bucket lists for summer to help me stay on track and accomplish what I want to! 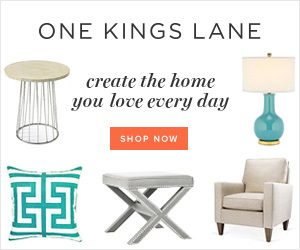 Loving your list! I've always wanted to do a real picnic! Yes to the rooftop and the farmers market. I always end up killing my herbs so I wish you good luck!! I'm a huge fan of the day trip! I'll be in Boston this summer and will actually be day tripping up to Maine! Can't wait to see what your favorite is. And - - I really need to get to the beach this year, even if it's just me for an afternoon. Farmer's Markets are the BEST thing about spring & summer! I second this entire list! Last year I was such a failure at everything we tried to grow but I definitely want to get a mint plant again! Can't wait to see tomorrow's post about your day trip location/s! Love this! I want to do more day trips this summer for sure -- such a fun little daytime getaway! I love that your list is simple and you don't have 100 things you want to try to accomplish this summer. You have downtime to do whatever you want. This all sounds so fun!! I love this list and I hope to do everything on it as well (except the roof top bar)!! It's terrible that we have to "include" the beach. It should be a give in considering where we live...but life's always getting in the way! hah! What a great list! Those are all such classic and fun summer things that I think we all want to do but sometimes forget about. Always nice to have a list to remind us! All of these sound great! I love going to farmer's markets and for picnics! The beach is my favorite vacation spot, hands down! :) Plus, I just planted a little garden box, which is perfect for herbs! yes yes yes to the beach and the farmers market! My two absolute fave summer activities! I love your list!!!! I have two beach trips planned out for July and September and they can NOT get here fast enough!!!!! And I want to grow some herbs inside and outside this summer as well :) I hope that you get to do all of these things. Love this list a picnic is on my summer to do list. I looove going to the Farmers Market during the summer! Such a fun way to spend a day and get delicious food! Such a great bucket list! I just love farmers markets! My dad grows mint and basil and so many other herbs in his garden! I know mint grows like crazy and takes over gardens! I need to get to the beach ASAP! Loving this list. Hope you are having a lovely week! I'll send you some sunshine and humidity from Florida! :) Love your summer bucket list. Definitely gets me thinking about mine. What a perfect summer bucket list! 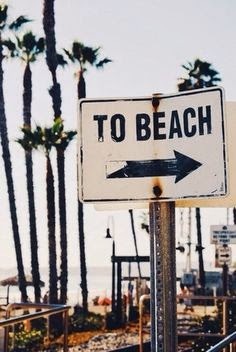 Take me to the beach with you! I love this day trip idea!!! I can't wait to hear where you are going to go! We take a lot of day trips. Sometimes we drive randomly instead of choosing a particular place to go. I've been wanting to grow my own herbs too! I definitely don't have a green thumb though, so this should be interesting! 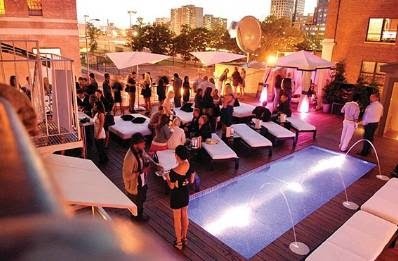 Rooftop bars are definitely on my Summer must-do list! Great list. Love taking day trips is the summer. My first one is tomorrow!! It's summer right? Lol So excited!! I've been saying all week that over the holiday weekend I want to get a couple things to "grow" this weekend - I think it would be so fun to try out. I was thinking about the mint too! A rooftop bar just screams summer to me - one of my favorite things is to do drinks on a rooftop! What a great summer list! Love it! We plan to do some of these things, too. Picnics in the park are a huge part of my summers, especially with bounty from a Farmer's Market! So fun. Rooftop bar and picnic in the park are two ideas I want to try this summer! Thanks for reminding me about that! Love this list! Such doable items, but good to put them down on the page so you can make sure to accomplish them! I def need to do this! I tried growing mint a few years ago. Everything was going great, then one day, my plant was COVERED in teeny tiny green bugs. From far away it looked like it's normal planty self. Close up, a colony of green insects. I was so freaked out. I tossed it into the woods! Please share tips if you are successful! Great list! A lot of these would be on mine too :) I went to the Farmer's Market last Saturday and LOVED it! I can't wait to go again! I also need to get to the beach, and pool and swim even in the river. I LOVE all of these picks! And I agree on the part of taking the weather for granted in FL - I literally live a couple blocks away from the beach and have gone twice this year ha! 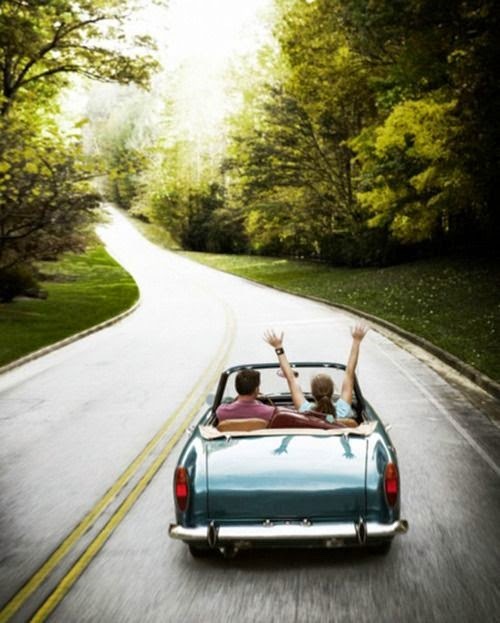 All of these bucket list items are perfect for summer! I am definitely adding all of them to my list! great list! I really wish we had a good farmers market! And yes to the beach! As much as possible! Great bucket list! I'll have to use some of these! Ive been longing to go on a picnic forever!!! I think Im putting that on my list!